The Brood (1979) & The Taking of Deborah Logan (2014); And the Mind, Body, and Disease Dilemma. The human brain is capable of extraordinarily terrifying reactions while undergoing stressful situations. Traumatic stress can do irreparable damage to the human body causing hair loss, jaw and dental problems from teeth grinding or clenching, skin rashes, weak immunity, and extreme weight gain or loss. Ultimately, stress possesses the power to kill a person due to its direct effect of the nervous system and cardiovascular system. Stress can be so tumultuous that it can distort a person’s perception of reality causing them to lose their sense of safety and comfort. What if stress could manifest itself as physical lesions, scars, or bruises on the body, or something much worse? What’s more, what if stress resulted in a deteriorating mind causing a spiritual imbalance for evil to take root? David Cronenberg toys with this concept in The Brood, his psychoanalytical look at stress, and trauma more specifically. On the other hand, Adam Robitel takes the concept into more complicated territory when he interrogates the idea of spiritual possession due to the stress of a mental disease in The Taking of Deborah Logan. Both films caught my attention on separate nights where I craved a chill in my spine. Though completely different films, they both tackle the horrific ways the mind can generate physical distress; protruding lesions on the skin, deteriorating flesh, bubbled over flesh– all of which means terror and death for those in close quarters to the film’s main characters. Cronenberg insinuates the repercussions that could happen if traumatic stress embodied itself into deadly, murderous beings hell-bent on relieving that trauma at the expense of others. This idea is the basis of The Brood which revolves around series of murders taking place in a small town by a gang of deformed children. Meanwhile, Dr. Hal Raglan (Oliver Reed), a respected psychologist showcasing his new and controversial study on “psychoplasm,” finds himself wrapped in the middle of it. Hal’s work encourages his patients, usually victims of childhood abuse or neglect, to confront their severe trauma on a deeper level which causes a physical reaction on the body. Hal’s most concerning patient is Nola (Samantha Eggar), a victim of childhood abuse who is currently in the midst of a separation from Frank (Art Hindle), her estranged husband. Frank soon begins to notice signs of abuse on their daughter Candice (Cindy Hinds) after a visit with Nola prompting him to investigate Hal’s practices and Nola’s turmoil. The concept of The Brood is perhaps one of the most intelligently distinctive ideas in the horror genre. 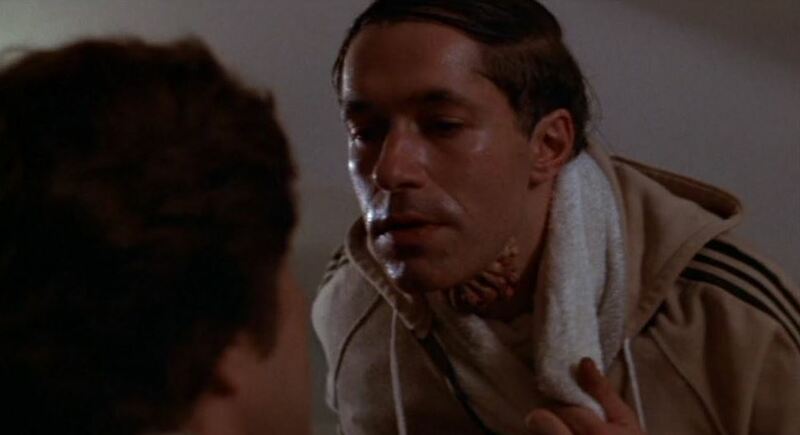 I respect and admire Cronenberg’s interrogation of the mind and body and its relationship with disease. The Brood’s reflection on psychiatric help creates an interesting dialogue that showcases the parallel mindsets that advocate new age psychological treatment but also dismisses it’s potential cause of perpetuating inner chaos. We are made to feel weary of Hal unsure whether his practices are through a genuine desire to help or a sinister selfishness ignorant to what he is manifesting within his patients. In this sense, Cronenberg assesses the importance of psychological care spearheading the topic in the film. It’s easy to immediately write off The Brood for its dated quality and flair for 70s dramatics, but Cronenberg is a forerunner in the market of terror and he masters the creepy horrific affect of The Brood through stunning make-up work and clever filming techniques. The disfigured children’s physical bodies and the film’s surprising revelation of their birth is able shock and amaze in part because of detailed make-up that gives them a devilish yet alien-like quality. Credit is also owed to Cronenberg’s direction that give us just enough glimpse at the faces of these mutants to terrify, but not enough for overkill and to wear out the image. This is accompanied by a chilling score and tight edits that show us the gore and gruesomeness of the lacerations and murders, yet also tastefully looks away at the right moments toward reaction shots. Cronenberg’s story ends on a dark note exploring the tragic nature of trauma and its effect on children. The Brood delves into the topic of child abuse and the sad reality that every child can not be shielded from the brutalities of life no matter how hard one tries. Candice is the film’s sitting duck being affected by a messy separation between her parents and witnessing the death of two characters first hand. This type of traumatic stress affects her in awful ways making her fall into coma like sleep, withdraw for social engagement and fearful. Candice represents all the child victims of abuse and she accounts for the growing number of children who witness horrible aspects of life that they can’t unsee. The Taking of Deborah Logan further manipulates the idea of traumatic stress embodying itself through a physical manifestation. 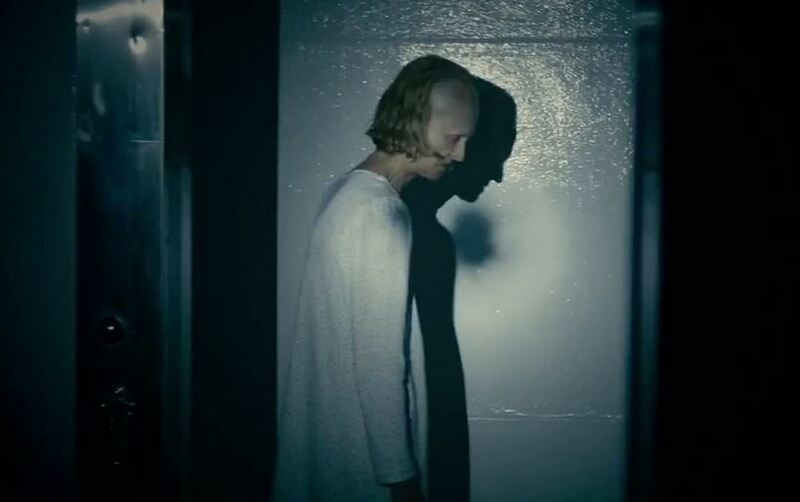 Though The Taking of Deborah Logan leans more on the possession side of the horror genre, it still uses mental stress and disease as the catalyst for its story. It follows Deborah (Jill Larson), an elderly woman suffering from Alzheimer’s disease whose deteriorating mind is seemingly causing ghastly violent outbursts. Under the guise of being filmed by a documentary crew that is researching the effects of the disease, Deborah is accompanied by her daughter Sarah (Anne Ramsay) throughout the film. Slowly, but surely Deborah loses touch with reality as the disease begins to control her motor functions causing strange things to happen to her body and frequent bouts of rage. Unfortunately, The Taking of Deborah Logan suffers from Robitel’s crippling subpar direction and half-baked screenplay which leads to filming inconsistencies and strange turn of events. Also The Taking of Deborah Logan’s pitfall is being too late into the game to leave a lasting impression on audiences as its use of the found footage gimmick seems old and overdone. Yet, I give credit where credit is due. Though there is room for improvement, Robitel and his screenwriting partner Gavin Heffernan allows Deborah and Sarah’s story to unfold in menacing, intriguing ways. The women decide to be a part of the documentary film because the filmmakers offer them money, a needed aid since the newly diagnosed disease is causing a financial strain on the household. 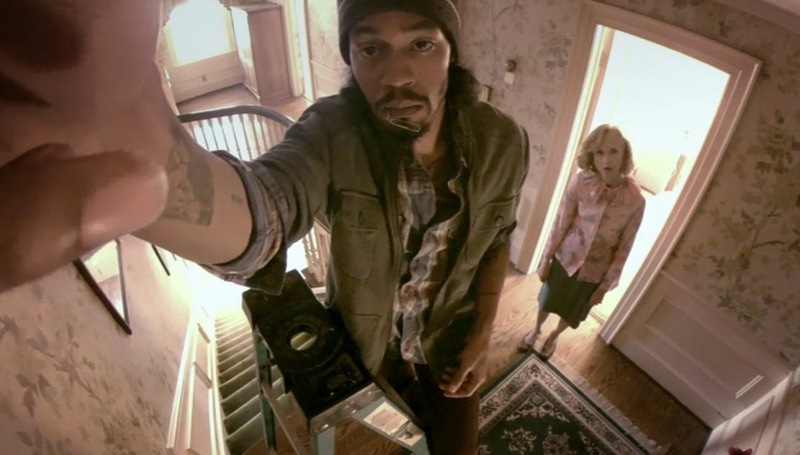 The team intends to study Deborah’s behavior by placing camera’s around the house to watch for moments of lapsed memory and confusion giving the found footage theme a much-needed breath of fresh air. The documentary style of the film mixes scientific data into the narrative giving a substantial amount of information on Alzheimer’s as a disease and what it does to the brain. Mia (Michelle Ang), the in-house film’s interviewer, rattles off information to the viewer about the disease further allowing The Taking of Deborah Logan to set itself apart from its predecessors in the genre. This analysis of the disease grants justification to why Deborah begins to act so strangely and violently. The real reason for Deborah’s erratic behavior is the focus about midway in, but the film’s ambiguous look at how stress from the disease itself can affect a human body is its primordial importance. Stunning make-up work makes Deborah’s doctor’s visit scenes powerful as they reveal scars and rashes on Deborah’s body. Jill Larson’s convincing performance and body distortion is also reason for the film’s hair-raising shock factors. The spoilers and outcomes to both of these films may either impress or annoy you, but I think both cleverly executes their tale and interrogation of the source for the horror. For me, something truly horrific is something that can’t be controlled. Something that destroys your perception of truth. I am often confronted with the idea that maybe my brain has misfired and my reality is not what other’s see, a true fear of mine. Much like in Roman Polanski’s 1965 classic Repulsion in which a lonely female falls into paranoid isolation alone in her apartment. Refusing to leave out of fear, the character begins to see the apartment manifest itself into a haunted crumbling structure that becomes the reason for her demise. Films of this nature that questions the reliability of the narrator or central character, therefore the audience, is truly frightening due to their ability to be uncanny. The Brood presents the possibility of an overactive mind marred by trauma able to unleash unthinkable acts on others, while The Taking of Deborah Logan begs the question of whether a weakened mind is at risk for spiritual warfare. Either way we must remember that our minds are easily susceptible to the effects of trauma or disease as well as outside forces that can transform our insides and control our bodies. SEE THEM. 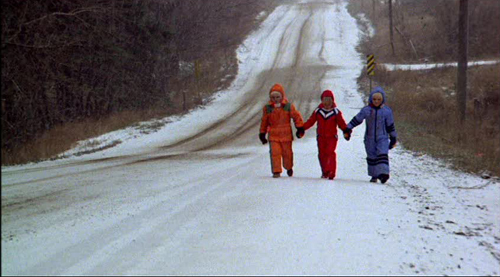 Hulu’s Criterion Collection has The Brood and Netflix has The Taking of Deborah Logan. I have heart about chronenberg, but never actually seen anything from him. I do think I will watch the brood now! Do it! The come back and tell me what you think 🙂 Some other must see Chroneberg films are The Fly and Videdrome (not the best story but stylistically its a great, creepy film) and his newer more toned down film A History of Violence.